I’d sat in the window to watch the world go by. Instead it watched me. Lantian. 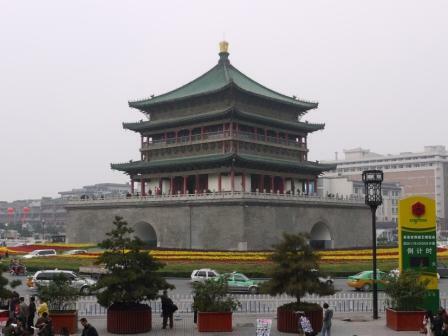 Provincial town to the east of the city of Xi’an. Westerners something of a rarity. Possibly because it’s quite difficult to find. Even when I’d reached it, I had my doubts. 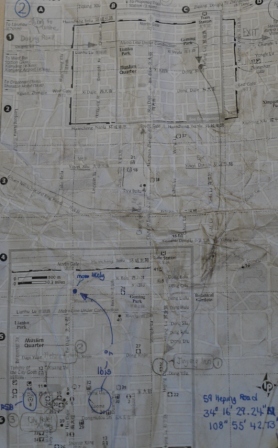 Eventually quelled by some forensic navigation. That’s where you use a blend of GPS data, Google Earth and a conventional map or two to work out exactly where here is, and where you’ve been. Not always obvious. A deliberately short day. In distance terms. Little more than thirty miles. But it’d taken quite a bit of time, mostly escaping from Xi’an. Should have been pretty straightforward. I’d sketched out a route using a mix of satellite imagery and a local map. But overlooked the road works, the diversions. The city’s largely grid layout should have helped compensate, but still left me a bit bewildered amongst the heavy traffic. A familiar pattern. Set off. Confident. Done my homework. A few landmarks to look for. Stick to what you imagine can only be clearly defined main routes. After a while doubt starts to creep in. Sure it looked different on Google Earth. It probably did. Such is the rate of road building. Eventually, any decent bit of tarmac heading east suffices. Hoping for a road sign, there’d been more confusion. Finding one for Lintong, written in both English and Simplified Chinese, my spirits raised. I’d expected to see Lantian, and the characters were slightly different to those shown on my less than reliable map. A different place or a transliteration error? I wasn’t sure. I’d asked quite a few pedestrians, bystanders. Which was the right road? Then an elderly couple on smart bicycles. They’d hailed me from across the carriageway. Rode with me for a short while, parting company once a sign for Lantian appeared. Could barely conceal my delight. But not the G312 highway I’d expected, I’d followed from Kazakhstan. No. Road 101. I’d find out later it was the right way to go. But not without incident. Quite a bit of chaotic roadworks. Then there’d been a road accident. Cyclist. I’d have stopped to help but for what’s termed mechanism of injury. A lorry. And plenty of people milling around. Not that they could do anything. Of that I was absolutely certain. I’d found somewhere to stay in Lantian without too much difficulty. Headed out at dusk. Prosperous. Lots of shops selling things you didn’t actually need. A few pavement market stalls. Some, curiously, openly selling bundles of what purported to be various popular currencies. Eventually drawn into a Western style fast food outlet by the possibility of a fresh coffee. 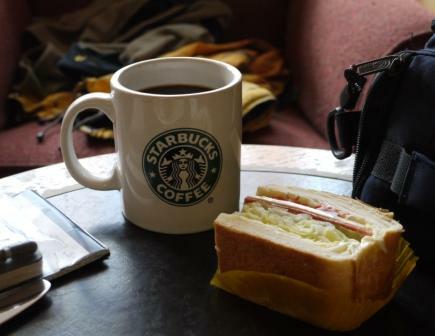 Met with "Good morning" and a smile, the usual greeting in such establishments. "Tom and Jerry" on the large screen. Dubbed. In the background "Scarborough Fair" played on a loop. Faces at the window. Tea bags, she explained, weren’t popular. Could only be used once, whereas a quality loose tea might make a few cups. I suggested some of my Northern relatives might disagree. The humour was lost. On everyone. Not even a grimace from my fellow travellers. Seemed best not to elaborate on the rituals surrounding “builders” tea. 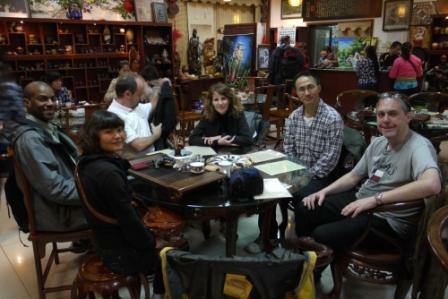 We were visiting a Chinese tea room. Little touristy, but tastefully done nevertheless. Sort of “Whittards” with tables. Here to experience a traditional tea ceremony. Sampling various blends. Sweeter varieties like lychee black tea, popular for the Western palate. 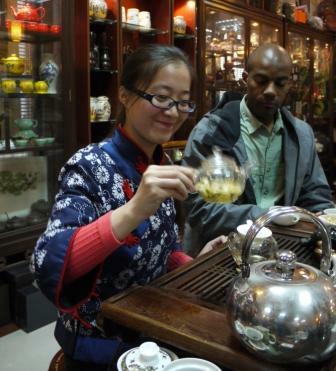 Green teas such as Ku Ding, popular for its purported medicinal properties, or Chrysanthemum tea. Good for the throat apparently. Tea ceremony from Ken Roberts on Vimeo. Following on from yesterday’s piece on taking tea in China, a short clip to give some insight into the ritual. From Xi’an, central China. I wasn’t being a good tourist. Not even mid-morning and I’d be politely, but firmly, rebuffed for not paying proper attention. To the amusement of my fellow English speaking travellers. 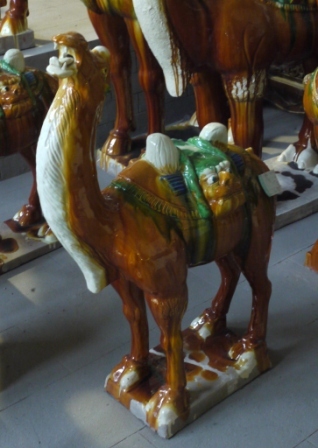 Then there’d been the various souvenir shops. Hadn’t spent as much as a single Yuan. As much for reasons of practicality as pure taste. Hadn’t really got room in the panniers for a replica Terracotta Warrior. And jade’s not quite my thing. Doesn’t go with any of my outfits. It had started with a late night phone call. Said her English name was “Kelly”. I’d heard about these sort of things. Did I speak Chinese, she enquired. A brief pause. “No” I replied. She wanted to meet. Eight thirty next morning. In the lobby. She’d be my tour guide. I was relieved. We were a small group. Jesse from Delaware, US, Clive and a friend from the UK, and a French couple. All seasoned travellers. Jesse spending time in Taiwan learning Mandarin. Languages, I discovered as the day went on, were definitely his thing. Fluent French, impeccable accent. Later he’d admitted to a smattering of Spanish. You just knew this’d be an ever so small understatement. 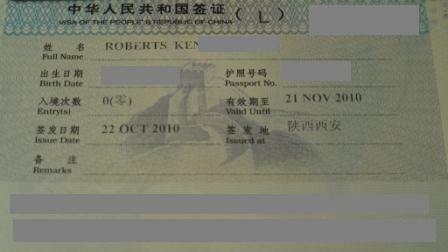 Clive had travelled to China by train, meeting up with his friend, an old work colleague, in Hong Kong. And the French couple on a research exchange with a Shanghai University. There’d been a visit to the Big Goose Pagoda, Banpo Neolithic village, a jade factory, and a pretty decent lunch. 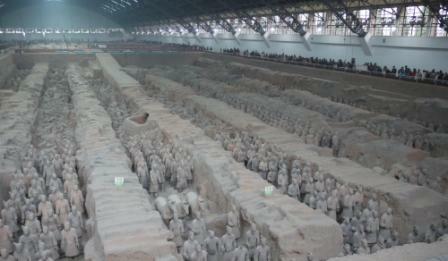 But I think what we were really interested in, intrigued by, was the Terracotta Warriors. And we weren’t disappointed. The vast majority of the Warriors are housed inside “Pit One”. It ressembles a large aircraft hangar. Not just the shape. But also the size. The largely natural lighting casts an almost mystical hue over the arranged army. Discovered by chance in 1974, not a single soldier intact, their restoration a testament to patience. Foot soldiers. Generals. Horses. 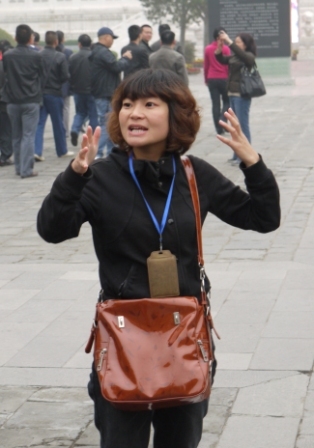 [Author’s note: Xi’an is tourist territory, and prices reflect this. 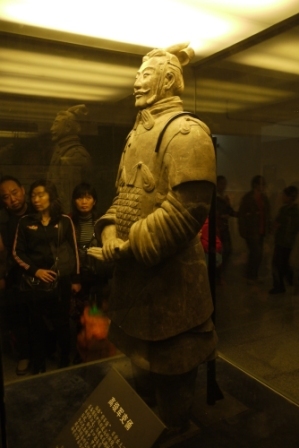 A full day tour, including transport, lunch, and entry tickets for sites such as the Big Goose Pagoda and Terracotta Warriors costs about £40. But, despite my natural reticence to part with cash, worth it. You could make your own (cheaper) arrangements, but then you’d miss out on a guide, and quite a bit more as a result. I’d been doing what I thought was a pretty credible impression of a lost Englishman. I, at least, was convinced. Her name was Duan. On her way to collect her young daughter from the creche. 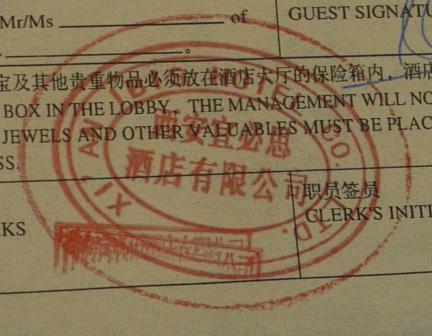 A smattering of English, but still much more extensive than my Mandarin. 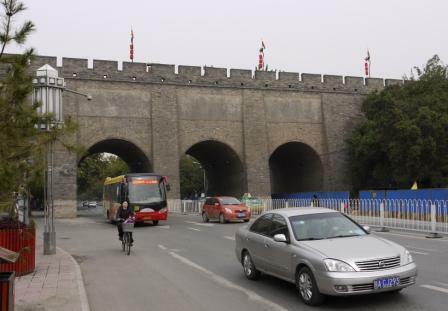 It’d reached Xi’an’s city walls with an hour or so of daylight left. Entering via the north west gate, I reckoned that still left me twenty five square kilometres in which to hunt for my hotel. A long night loomed, not least because I’d the usual mediocre map, its legibility even in daylight questionable. Difficult to pin down the size of Xi’an. Estimates vary from between three to over eight million. Either way, it’s pretty big. My efforts at entry comparable to riding into London armed only with postcard of Big Ben. At night. Sometimes wonder how I ever got out of Europe. Soon dusk. Then dark. And still no sign of my hotel. By now I’d dismounted, deciding it much safer to walk than to ride amongst the chaotic evening traffic. If there was a consolation, aside from what I hoped would be a hot shower at some point before dawn, it was that I thought the place quite beautiful at night. The Bell Tower in the centre at least. Tastefully illuminated. And I’d probably have seen much more of the city if it hadn’t been for Duan coming to my aid. She knew the road I sought. There were lefts and right. Distances. Distinct junctions. Landmarks. Rare precision. And she was right.